Based on the principles of simplicity and efficiency for schools. Pedal prix racing with minimal frontal area for best aerodynamic profile. Built from 4130 chromolly which gives long term durability, is lightweight and provides the ability for schools to modify in future years with standard welding techniques. This trike is designed to allow race winning performance. We understand that teachers often take the burden of preparing trikes for races so all parts used are picked for their ability to continue working well with only minimal maintenance. The instantly adjustable rider length,(typically takes only 2 seconds), allows a 250mm range of rider lengths to share one trike effectively providing better efficiency, comfort and safety. This feature makes the TRUBLU 4130 the safest and most efficient racing trike available, exceeded only by the TRUBLU spaceframe. The rider headrest has been ergonomically designed to support the shoulders and neck whilst preventing any pressure on sensitive vertebrae. The headrest also ensures that the seatbelts stay in correct position over the rider's shoulders. The low centre of gravity means higher cornering speeds are safely attainable and improves rider safety by reducing the tendency to rollover. 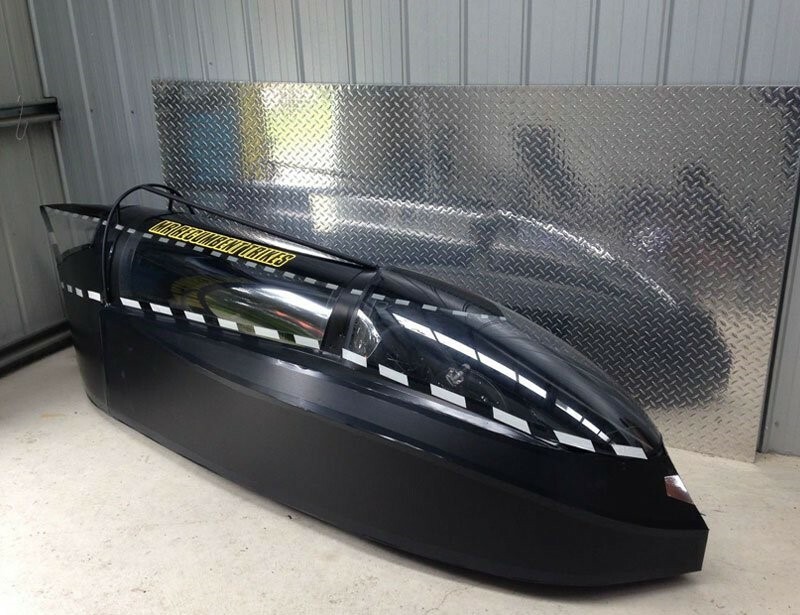 • Nighthawk fairing kit $600 - if purchased with trike (race winning fairing kit) includes laser cut coreflute body kit, modular polycarbonate windscreen, polycarbonate centre and rear windscreen, Velcro, ties, glue and assembly instructions.